How Does the Virulite System Work? Is the Virulite Electronic Cold Sore Treatment Right for Me? You’ll do anything to get rid of cold sores. While they do eventually clear up on their own, spending up to 14 days dealing with pain and judgmental stares is something that you want to avoid. And, sadly, some people are more prone to flare-ups than others. If you only get cold sores once in a while, you may be satisfied with using the best over the counter cold sore medicines or covering them up with a patch. However, if you tend to get cold sores quite often, you might be searching for a solution that will dramatically reduce the healing time. 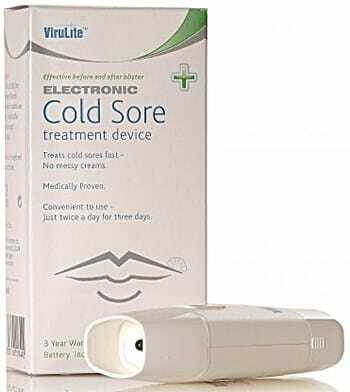 The Virulite Electronic Cold Sore Treatment is such a product, designed to heal cold sores much faster by boosting your immune system. There are no messy creams or gels involved, and no repetitive procedures to follow. If you’ve arrived at this page with the intention of buying the Virulite machine, CLICK HERE to go straight through to the main product page. If fever blisters are a regular problem for you, the Virulite cold sore machine is definitely worthy of your further consideration. But, how well does it work? What can you expect to happen when using it? Does it cause any discomfort? Let’s take a closer look at this innovative new product. Virulite uses an FDA-approved, patented light technology to help treat cold sores around the mouth and other areas where they may occur. It does this by helping to stimulate and boost your immune system so that it can fight back against the virus faster. According to a study done by the National Center for Biotechnology Information, this type of light technology that is often used by doctors is effective when it comes to reducing the overall healing time of cold sores. The system gives out 1072 nanometer light in distinct pulsating bursts. These pulses target the cold sore when the device is placed over it. This allows your immune system to directly respond to the affected area so that it can heal more quickly. Not only does it work in treating visible cold sores, but in some cases, it may be able to prevent future cold sores from occurring. A clinical study helped to show that the technology used in Virulite can clear up cold sores in about half the time of other treatment options. In most cases, the system can clear up a cold sore in just over four days. However, many people see results sooner with consistent use, with some people even noticing results in as little as two days. It doesn’t matter what stage of a cold sore you’re experiencing. Whether you notice the warning signs like tingling or itching, or you’re at the blister stage, it can reduce the healing time. This review will be based on several different criteria to determine how well the product holds up against certain criteria. We’ll provide some in-depth information on what you can expect when using this treatment to remove cold sores fast at home. The Virulite device is straightforward to operate and only takes minutes a day to start seeing results. It doesn’t require you to use any messy ointments or creams. Only the device itself is needed. There are a few easy steps involved in using the device, so you can be sure you’re doing it correctly. Turn on the device. The invisible LED light wavebands will go to work immediately. Place the device on the affected area and keep it there for about three minutes. Each treatment is automatically timed within the device, so you don’t need to keep track of how long you’ve been holding it in place. Once the treatment is complete, you’ll hear an audible sound from the device, and it will turn off automatically. You should repeat this treatment every twelve hours for best results. It is comfortable to use, and you won’t see or feel any heat or pain from the light pulses working against the blisters. It’s designed to take care of your cold sore(s) while ensuring you’re treating it for the right amount of time. There’s almost no way to make a mistake when using it. Because it helps to boost local immune response, you can expect the site of your cold sore to heal within just a few days. It doesn’t matter where the blister is located, since the calculated light pulses work wherever you use the device, targeting the specific area and stimulating your immune system to work harder in that particular spot. 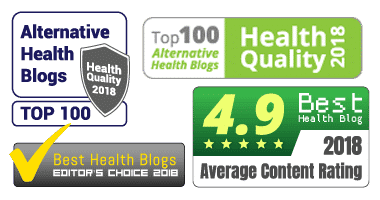 If you’re looking for an alternative, read our in-depth Herpotherm Heat Treatment for Cold Sores Review. There have been no negative side effects associated with this product in any clinical testing. Most user reviews also suggest that you don’t have to worry about any painful symptoms occurring through regular use of the Virulite system. Because it’s approved by the FDA with technology originally used by medical professionals, you can feel confident in the safety and consistency of the product. It is recommended that only adults over the age of sixteen use the device. CLICK HERE to Find Out What Virulite Can Do for You & Check Pricing! Speed is one of the biggest advantages of the Virulite device. The device only takes about three minutes during each use. The built-in timer will go off at the start and finish of each treatment cycle, so you don’t have to worry about using it for too long, or not enough time. Clinical results and user experience both suggest that it can completely heal a fever blister in a matter of days. If you regularly suffer from cold sores, reducing the pain and appearance in a few days can be a big relief. With no treatment, cold sores can take up to two weeks to fully heal. Some over-the-counter treatments can reduce healing time by a few days, allowing the blister to heal in a week or so. 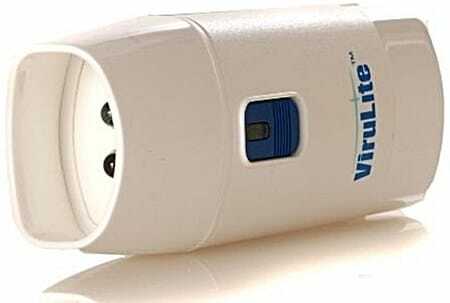 The Virulite device cuts that time in half again, so most cold sores can be cleared up in days. To consider the overall value of the Virulite Electronic Cold Sore Treatment, it’s important to compare it against other notable cold sore treatment options. Most cold sore treatments are in the form of gels or creams. While each container may be less expensive, they have to be repeatedly purchased if you frequently experience outbreaks. Over time, that cost adds up. Additionally, those treatment options aren’t as effective as the Virulite system. The cost per treatment when you compare it to over-the-counter creams is much cheaper. Using this system is also more cost effective than having laser light treatments performed by a medical professional. The technology is similar, but you get to experience it in the comfort of your own home. While this device may seem like an investment, it’s one that will last a long time, and work consistently without having to purchase any replacement or additional components. Check Our Virulite Cold Sore Machine vs. LipZor Device comparison. Again, no side effects have been associated with this type of light treatment. It has undergone multiple clinical trials. User experience and reviews also back up these studies. If you experience any redness or itching while using the product, discontinue use. However, the divergent light used is safe almost anywhere on the body and shouldn’t ever cause any problems, even on sensitive skin. Dual activation switches are set up on the device itself. These prevent accidental activation when you don’t intend to turn the system on. The device is very portable (which is one of the greatest benefits), so you can take it with you wherever you go when you need it most. The dual switches prevent it from turning on if it’s in your pocket, a purse, a suitcase, etc. Both switches must be activated for it to work, so bumping it against something won’t turn it on and cause any problems or wear out the battery. Internal technology checks several components each time it’s turned on. First, it ensures that the proper therapeutic waveband of 1072 narrow wave band light is properly distributed. It also ensures that the device has enough battery power to work properly throughout use. If there is a problem with either of these factors, an alarm will sound off from within the product, and it will automatically shut off. This makes it impossible to misuse the device. If something is wrong, it will let you know. And, as a safety precaution, it will turn off until the problem has been fixed somehow. The light itself is safe and has been used in clinical research for ten years. It uses specific wavelengths in pulses to directly work on the blister and nothing else. It works as a catalyst for your immune system, encouraging it to focus on a specific area for faster healing. You will not see the light rays when the device is on, and you won’t experience any negative side effects from them. In fact, they are the only type of light rays proven to speed up the healing time. Other types of rays, like UV, can trigger flare-ups and make blisters worse. As with any product, there are things to consider before making a purchase. Cold sores can feel very personal, so choosing a treatment option that fits your needs is important. Cuts healing time of a cold sore for at least five days, compared to placebo. There are no negative side effects associated with the device. Has been used in different clinical studies for years with successful results. Easy to use in just minutes a day. Multiple safety features to ensure you can’t misuse the device. No messy creams or gels to use. You should be able to get unlimited uses out of the device, but the manufacturer warranty is only good for one year. The included battery treats 10-20 cold sores. After that, the battery will need to be replaced. If you’re looking for an alternative, find out more in our Lipzor Light Device Review. We hope this review of the Virulite Electronic Cold Sore Treatment has been valuable. Dealing with cold sores on a regular basis can put you in a constant state of discomfort. On top of that, they can be unsightly and embarrassing. No one wants to experience them regularly. While more traditional treatment options are fine, they simply can’t hold up to the power and technology of this device. The Virulite system consistently gets positive reviews. It also has undergone extensive testing to make sure it works as efficiently as possible. If you’re looking for a device that doesn’t take a lot of effort to use and can heal cold sores faster than just about anything else on the market, you will find it in this treatment solution. If you’re someone who experiences cold sores regularly, it’s a worthy investment. You can buy Virulite System from Amazon for $89.99 – CLICK HERE to check it out. ViruLite is the breakthrough cold sore treatment loved by hundreds of thousands of satisfied users in the U.K. & Europe and NOW available in the USA. This clever, patented device uses light technology to shorten the healing time of your cold sore (herpes simplex labialis) and is the FIRST and ONLY over-the-counter (non-prescription, at-home) device to be cleared by the FDA, so you know it's safe and effective. Questions!? Feel free to call our customer service on: 1-866-VIRUL-CS (847-8527). ViruLite only has to be used 3 times a day for 2 days so forget checking the clock to see if its time to apply yet another messy dose of cream or ointment. Here are a few other cold sore treatment products that might work for you.